As a lease with purchase option is different from buying a house outright or renting without a purchase option, the qualification standards are different as well. 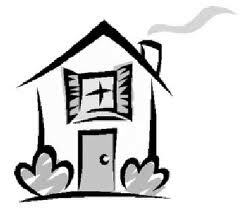 This page discusses the Rent-To-Own qualification criteria. Green light - Gross monthly income (before taxes) of at least 3 times the rent. For example, if the rent is $1,000/mo., you would need to make at least $3,000/mo. (before taxes). 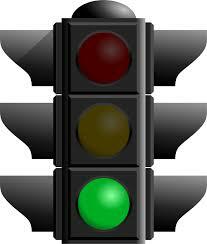 Green light means income should be acceptable to most landlords. Yellow light - Gross monthly income (before taxes) of at least 2.4 times the rent. For example, if the rent is $1,000/mo., you would need to make at least $2,400/mo. (before taxes). Yellow light, also known as "high Rent-To-Income ratio", means income is a little low but still may be acceptable to many landlords. Red light - Gross monthly income (before taxes) of less than 2.4 times the rent. For example, if the rent is $1,000/mo. and you make less than $2,400/mo. (before taxes) you would be considered "red light". This means you're basically out of luck without additional income. A co-signer could be the solution. Then there is credit. Fair credit (500-600) generally requires up to 12 months for restoration and poor credit (below 500), up to 30 months. Extreme cases could be even longer. In addition, we also highly recommend a credit restoration program in a lease purchase option as it should speed the process up and increase chances to successfully purchase the house. Most lease/option terms are 12-24 months with a 6-12 month extension option (or 2) for a total of 3 years. Some terms are up to 5 years but less frequent. The idea for a lease/option term is to estimate a term that works but also includes 'safety net(s)' just in case a little extra time is needed to exercise the option to purchase. This is where the proof is needed. Here, an applicant is evaluated through a rental application which could ask for such things as employment history, income sources, credit checks, rental history, criminal background checks and more. This could involve a 3rd party tenant screening service. Tenant Tracks is the service we use. The cost is $35.00 per applicant 18 years of age or older, payable by credit card only. However, with our assistance, the cost is only $25.99. That's a savings of over $ 9 ! Contact Us and a representative will assist you with Tenant Tracks. As far as proof, we require proof of income for all income declared on the rental application. This could be paycheck stubs for the last 30 days or, if self-employed, deposits or receipts showing income. While this is not set in stone, the "ballpark" qualification standards for a "Rent-To-Own"/Lease with Purchase Option is gross income (before taxes) of approximately 3 times rent - green light, explained above (although rent budget could be as much as 42 % of total income - yellow light, explained above) and no missed rent payments in the last 30 months. Generally, no evictions are acceptable. Proof of funds may also be required for the initial up front purchase option premium. Section 8 generally won't work as it won't cover the purchase option premium nor will it qualify for financing (it covers 'standard' items such as rent/security only). Also, Section 8 can't be done on a sublet. There are many rumors otherwise but none of them have ever been proven. Regarding credit and employment history, if credit is excellent (700 or better), good (600-700) or possibly even fair (500-600), you have been employed for 2 or more years (in some cases only 1 year) and have not sold a house via short sale in the last 3 years (nor have any recent bankruptcies or other serious issues) then you may pre-approve for a mortgage. We recommend for you to contact one of "Dr. I's 'golden needle in a haystack'" lenders to see if you pre-approve for a mortgage as then you wouldn't have to rent at all which could save you money. If you do pre-approve for a mortgage, you could purchase the property outright without any rental. Click here or see Financing for more information on pre-approval.